This sentiment spread across the country as we saw images of traumatized, sobbing children, isolated from their parents after entering our country in search of safety and sanctuary. The Cambridge Community Foundation has always valued strong families. Strong families are the anchors for healthy children; they fuel productive workers, they support thriving businesses, and they generate compassionate communities. Research has shown that repeated adverse childhood experiences can lead to toxic stress, which has long-term consequences on physical and mental health, leading to behavioral problems, children dropping out of school, substance abuse, and more. Separating children and their parents is not just morally wrong — it will have a lasting impact on these children, their families, and on communities. Fundamentally, this issue is about shared humanity. It’s about the kind of people we want to be, the type of community we want to create, and how we want to be known by our children and the generations that come. It is about values of compassion, kindness, and respect for human dignity and speaking up for justice. 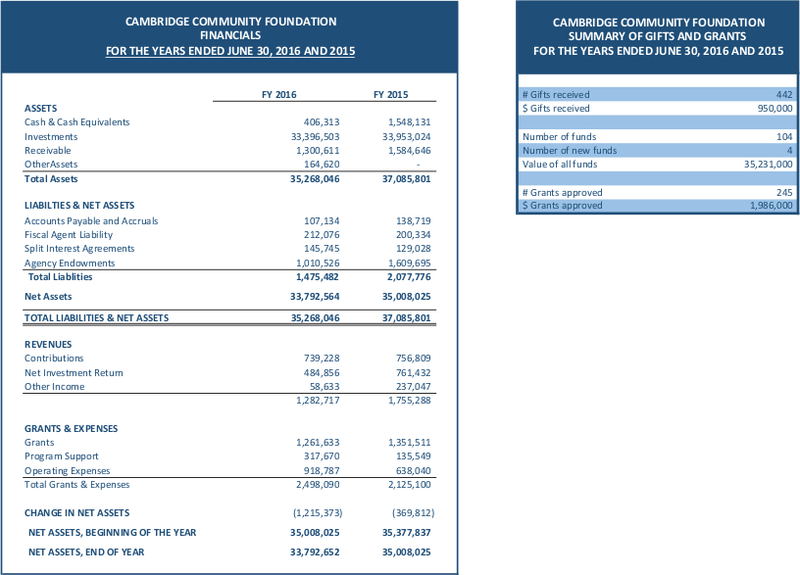 Here is what we’re doing at the Cambridge Community Foundation. 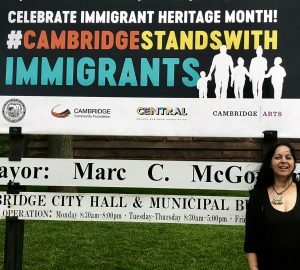 With Mayor Marc McGovern, we founded the Cambridge Legal Defense for Immigrants. The Foundation seeded the fund with $50,000 and hundreds of Cambridge residents have joined us in support of the local legal defense organizations helping immigrant neighbors in need. We are working towards our June goal of $250,000 and need your donations so we can distribute our first round of grants this summer. And, because of our strong belief in the power and impact of convening, we’re hosting Lives in Limbo: Immigration as a Human Rights Issue, a panel discussion on Wed. July 27 at the Cambridge Public Library, featuring leading local scholars and practitioners on immigration law. Join us and share your voice. Help a family and change their future. Join us to help reunite families and America!